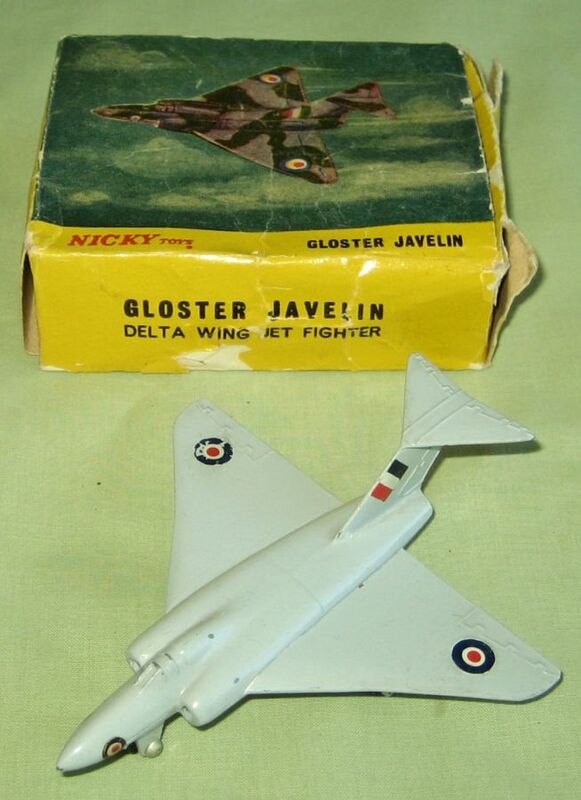 This Gloster Javelin arrived today - not a particularly difficult item to find in good, boxed, condition. 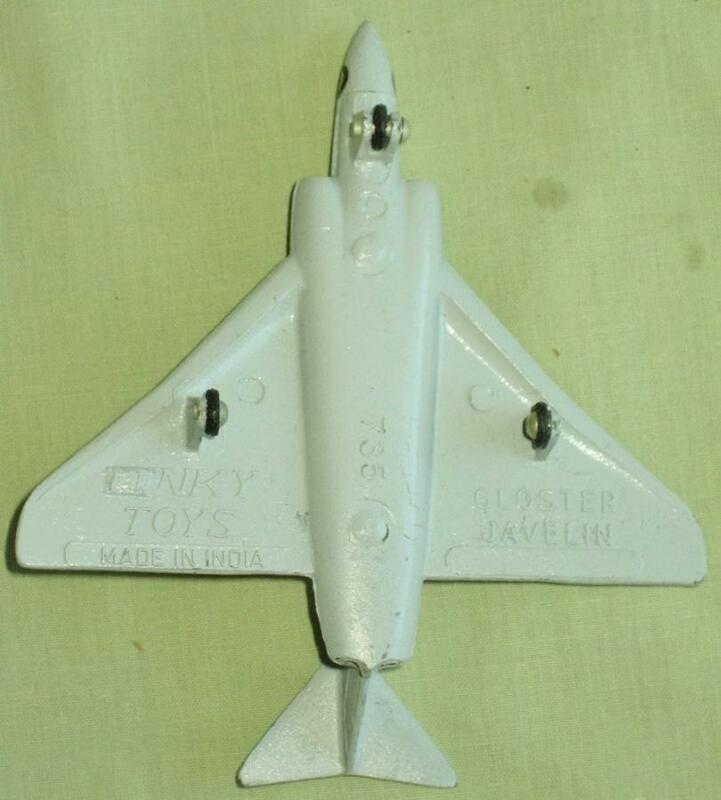 Perhaps more interesting are the 2 Indian Nicky toys of the same model, both in really good condition, though the boxes are a little worn. One of the Nicky toys is silver and the other a light gray. 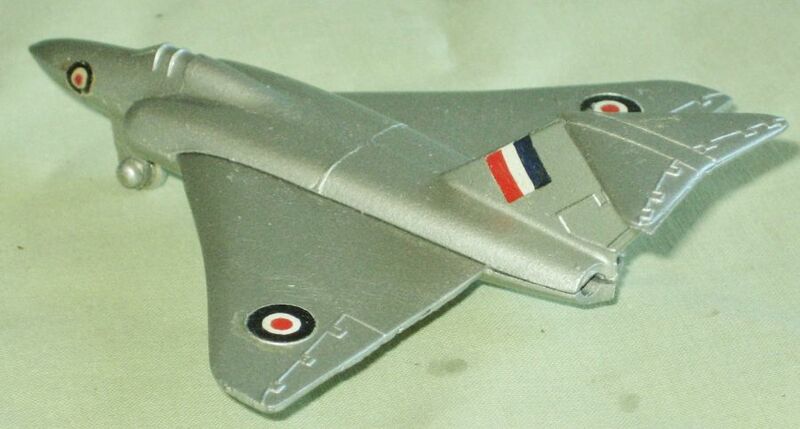 The light gray version has small black wheels with fine ribbing while the silver version has silver wheels which are the same size as the Dinky version. 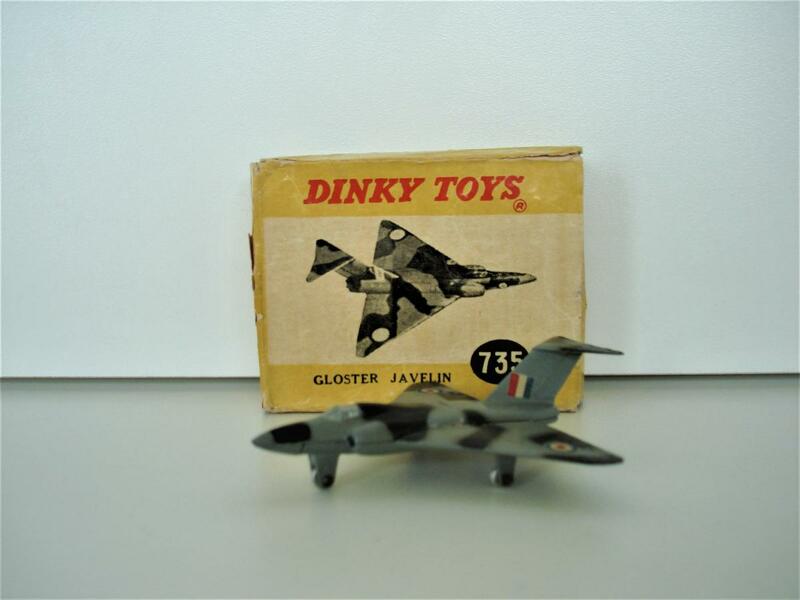 Compared with some Nicky toys they are very well made and it is difficult to see any differences between them and the Dinky version, apart from the colour and the angle of the markings on the tail. I have also just noticed that the 2 main wheels on the silver version are on the outside of the wheel stands instead of the inside. I have never seen these before so was very please to be able to acquire them. 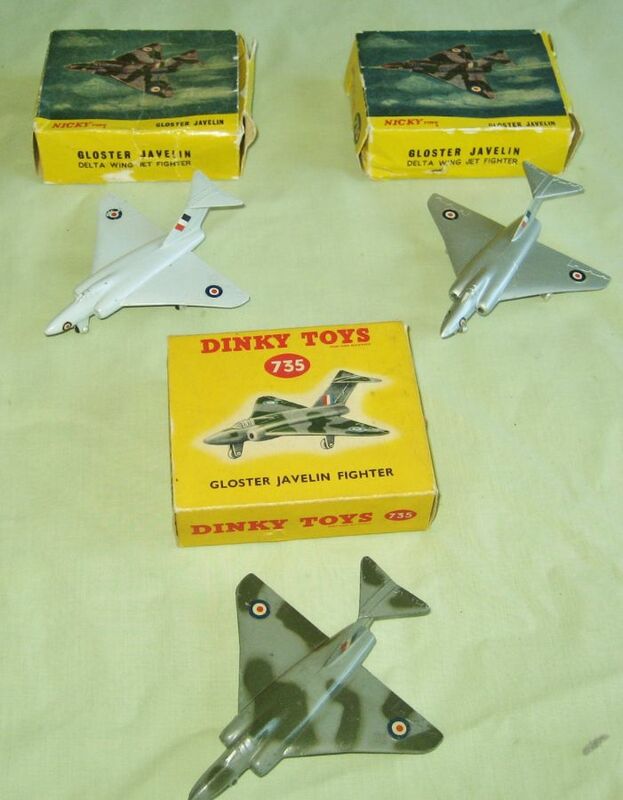 I don't have these models, but what struck me when reading your contribution: Although most Nicky Toys do not look so good, these aircraft models look good anyway. 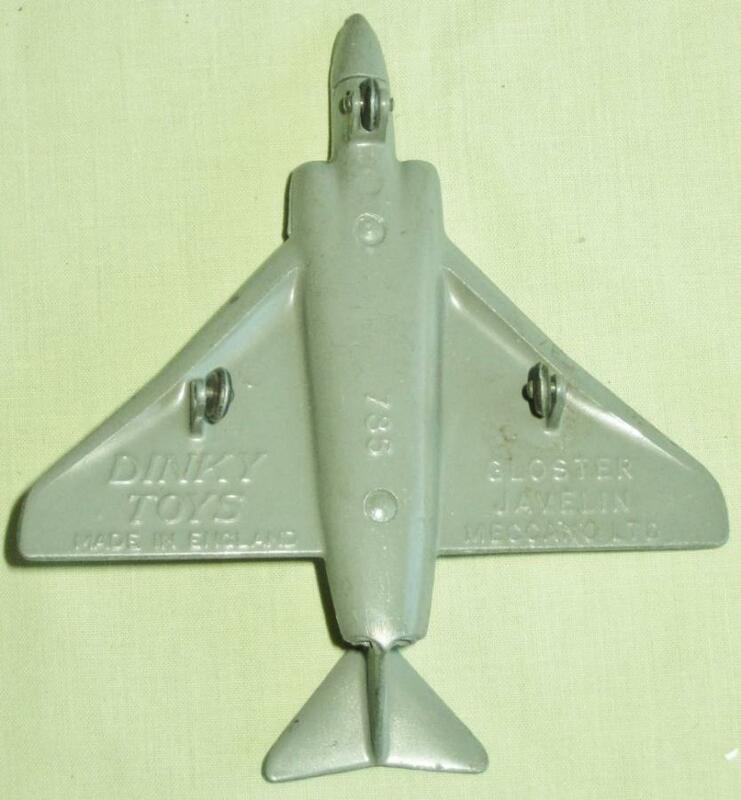 The Nicky boxes, like the Dinky Toys box, show a camouflaged model. 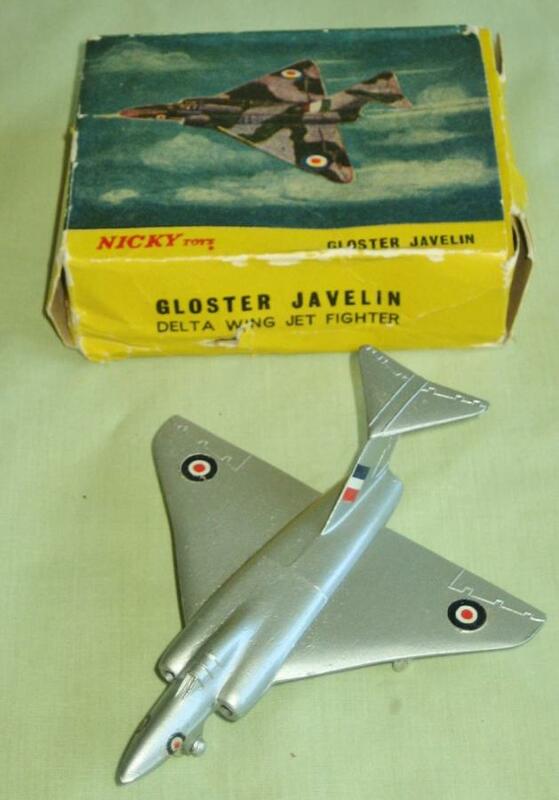 It is a pity that Nicky Toys did not camouflage them, like the DT model. 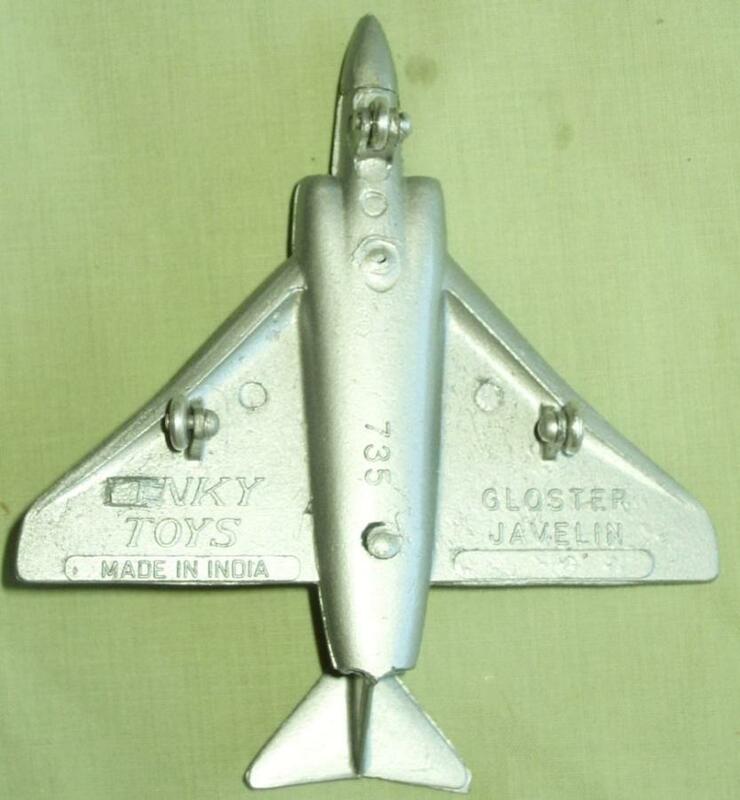 Before the brand name Nicky Toys was introduced, the Dinky Toys brand name was used under license by S. Kumar Ltd. in Calcutta. 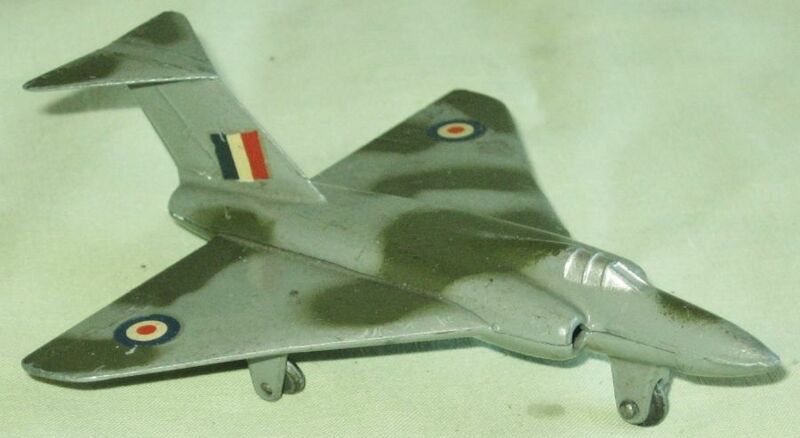 I have a camouflaged Indian made Gloster Javelin. 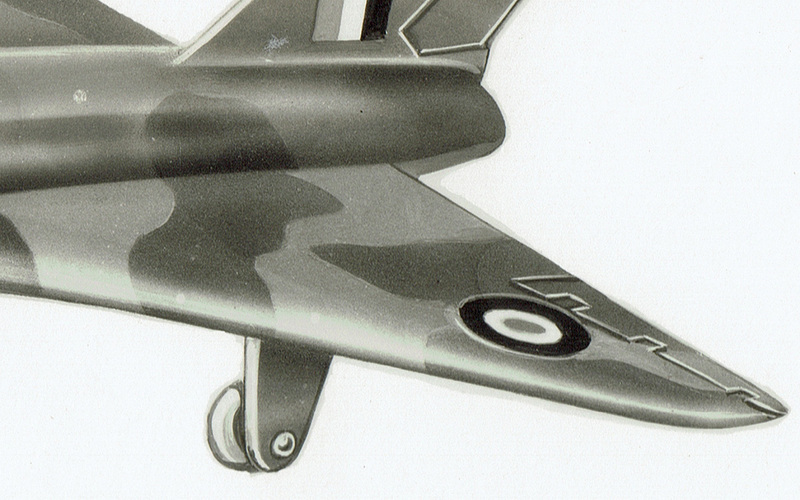 The camouflage is grey/black in stead of the grey/green used on the British made model. You have a very nice acquisition with this Indian made example in grey/black camouflage. 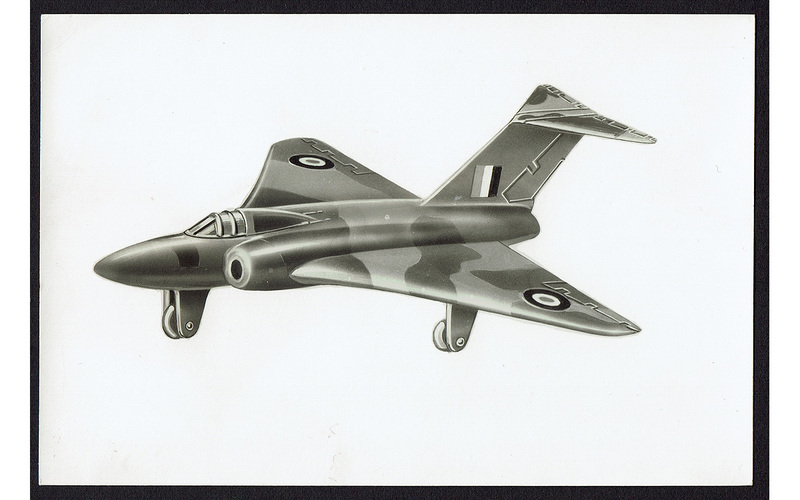 I think it is a very scarce variation. I even didn't see it at Vectis. Definitely a very nice addition. Nice additions, Chris! The Nicky Toys are not bad at all, the wheels seem to be even more firmly - albeit in a cruder way - fixed than for the Dinky. 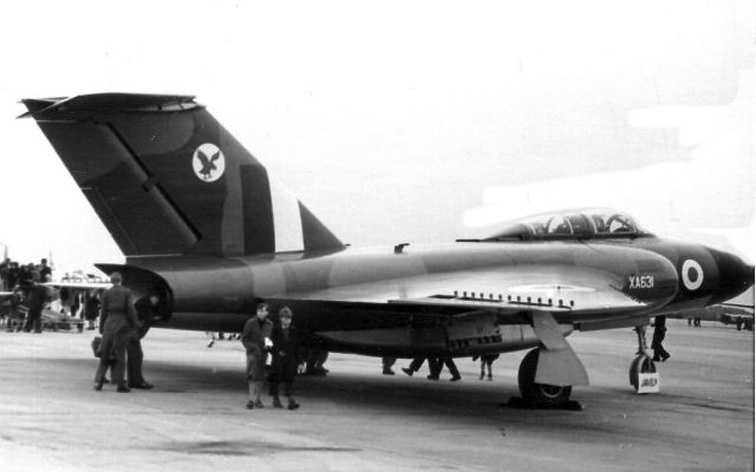 And even the positioning of the tail decals for the Dinky isn't fully correct, as the photo added of the real one may demonstrate.